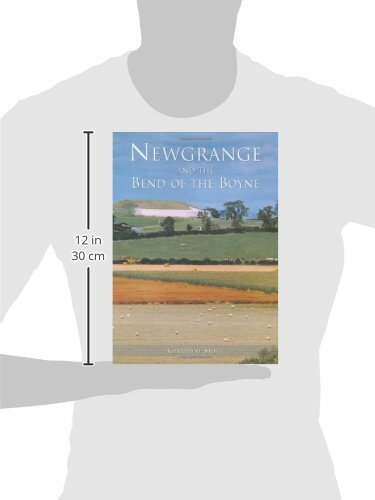 The first offshoot of the internationally successful "Atlas of the Irish Rural Landscape," "Newgrange and the Bend of the Boyne" is the exploration of an outstanding archaeological landscape centered on Newgrange Passage Tomb and its greater environs. In ancient times it was called the Brugh na Boinne. Today this area is designated as a World Heritage site and is Ireland's first protected Archaeological Park. Its rich fertile soils and south-facing slopes are set in County Meath in the most accessible, low-lying part of Ireland, close to the Irish Sea. This is where the great pre-historic tomb-building tradition of Atlantic Europe reached its zenith. It is where legend says the foundations of Irish Christianity were laid and is also the home of Ireland's first medieval Cistercian monastery at Mellifont. On the banks of the Boyne in 1690 one of the most important battles in Irish history was fought. The Bend of the Boyne had a pivotal role to play in Irish history and this is evident in its abundant physical remains, which can be traced among its fields and riverbanks. Through the interpretation of these remains this book presents an understanding of how this landscape was organized and exploited by communities over seven thousand years of settlement. This book draws heavily on the results of an extensive program of excavation at Knowth, Newgrange and Monknewtown and archaeological survey, which has greatly increased our knowledge of prehistoric societies. Using a wide range of maps, color photographs and historic as well as new drawings, it traces the gradual evolution of the landscape to the present day. The book is also concerned with the future of this protected cultural landscape and recommends actions to ensure its protection and preservation.